The world of animation shifted from the hand drawn 2-D animation of so long to computer animation around the mid-90s and never looked back. The occasional classic animated film will come about from time to time, but the creative potential of computers makes the 3-D style hard to resist. And yet the visual styles have never really changed since then outside of differences in designs or looks of individual films. But Spider-Man: Into the Spider-Verse feels different, it feels like the world of animation just shifted once more. Bitten by a radioactive spider in the subway, Brooklyn teenager Miles Morales (Shameik Moore) suddenly develops mysterious powers that transform him into the one and only Spider-Man. 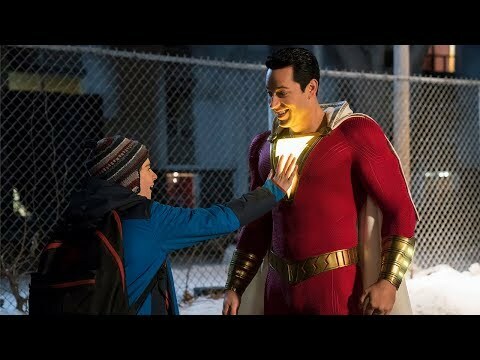 When he meets Peter Parker (Jake Johnson), he soon realizes that there are many others who share his special, high-flying talents. Miles must now use his newfound skills to battle the evil Kingpin (Liev Schreiber), a hulking madman who can open portals to other universes and pull different versions of Spider-Man into our world. If the Oscar for Animated Feature was awarded strictly for visual inventiveness, Spider-Man: Into the Spider-Verse would win in a landslide. The animation style is wildly creative and perfectly imitates the wacky stylings of a comic book, complete with faint cross textures and Benday dots that bring the 2-D to a whole new dimension. It’s a translation that a live-action could never achieve while at the same time doing something stylistically new with animation. But for any new version of Spider-Man to work, it requires a good story. For all the major implications of alternate universes and potential shredding of the space time continuum, Spider-Man: Into the Spider-Verse remains close to the ground. It remains about the relationships of the characters amidst this outlandish backdrop, never afraid to slow down for Miles as he learns the ropes or ramp up for the high jinks of all the Spider-People bouncing off one another. And when these characters interact through various scenarios, the film truly flows like no other. The voice work from the entire cast is top notch, particularly Shameik Moore, introducing audiences to Miles Morales for the first time and absolutely nailing it, and Jake Johnson, as a flabbier, unkempt Peter Parker who reluctantly takes Miles under his wing. The comedy beats are punchy and quick, with plenty of in-jokes and references to satisfy even the biggest comic book fans, but it’s never afraid to be heartfelt either, delivering on the reasons that everyone relates to Spider-Man in so many ways. 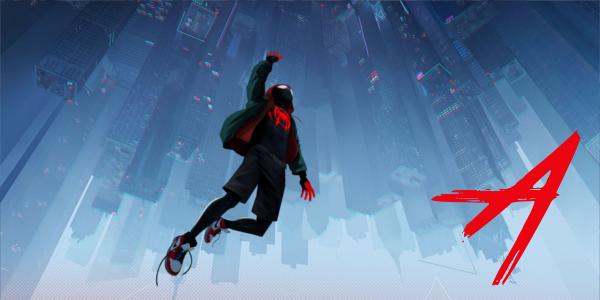 Spider-Man: Into the Spider-Verse is a bold animated flick that utilizes inventive visuals, heaps of superhero action goodness, and enough heart and humor to satisfy audiences everywhere. The voice work is tremendous and inspired, and the consistent back and forth of the characters on this adventure is impossible to not enjoy. Everything about the film feels like a huge leap of faith, a gamble that pays off and delivers a truly fun, and delightful film featuring your friendly neighborhood Spider-Man (and a few others).